Turmeric, scientifically known as Curcuma longa, is widely used in cooking, home remedies, cosmetics, medicines, etc. It consists of several nutrients such as dietary fiber, protein, vitamins C, E, and K, calcium, protein, copper, zinc, magnesium, and others. 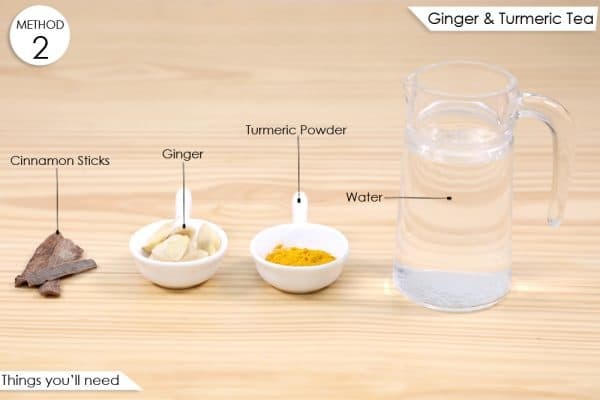 This is what makes turmeric highly effective in treating some health issues and ailments. Turmeric is an integral part of Ayurvedic medicines as well. It aids in healing wounds and cuts, treating various skin issues, bringing down cholesterol levels, controlling diabetes, boosting immunity, and keeping away a number of diseases. Did you know, this golden spice can also help you get rid of excessive fat and maintain your ideal body weight? Thermogenic properties found in turmeric help in burning calories by increasing the metabolism rate. It also contains a component that helps in increasing the flow of bile, which is vital for breaking down of dietary fat. Curcumin, another component found in turmeric, is great for your digestive health. It helps in suppressing obesity-related inflammation. It prevents accumulation of fat and accelerates fat loss. It hastens diet-induced weight loss. Brown adipose tissue is an important part of weight loss process. Turmeric helps in the browning of white adipose tissue. There are a number of ways in which you can use turmeric for losing and maintaining body weight. Here are the best ways to safely use turmeric for weight loss. The consumption of plain turmeric is a quick and healthy way of losing weight. It is a very safe remedy with no serious side effects. However, there are a few things you need to take care of if you want to make the most of this remedy. In case you are on some medication, make sure there is a gap of at least 3 hours between the intake of turmeric and your medicines. If you are at risk of ailments like gout or kidney stones, limit your turmeric intake. You may also opt for turmeric supplements instead of consuming turmeric powder. However, it is recommended that you consult your doctor regarding the preferable dosage and side effects of these supplements. 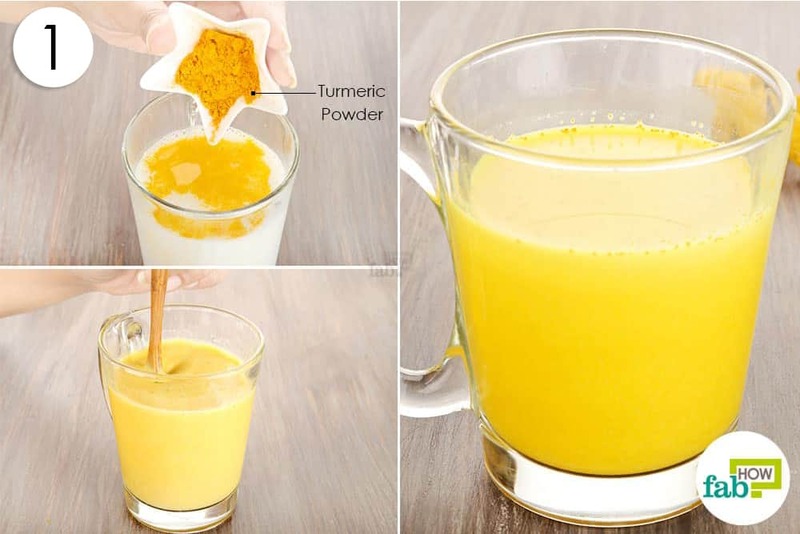 Have 1 teaspoon of turmeric powder 3 times a day. Make turmeric a part of your daily diet slowly and gradually. Begin with taking about a quarter to half teaspoon turmeric powder every day. Raise the quantity after a week. Keep increasing your daily turmeric intake little by little, till it becomes easier for you to consume 1 tablespoon of turmeric powder daily. Ginger is a widely used spice that is packed with antifungal, anti-inflammatory, antiseptic, antiviral, and anti-bacterial properties. It is rich in various nutrients such as vitamins (A, C, and E), phosphorus, magnesium, zinc, potassium, iron, and calcium. Along with offering several medicinal benefits, this spice also aids in promoting weight loss. Ginger helps in weight loss by promoting the feeling of satiety. It will help you avoid unnecessary snacking, thus making it easier for you to keep your weight in check. It is also good for digestion and boosts metabolism. A study published in the Journal of the Science and Food of Agricultural (2014) states that a primary component found in ginger i.e gingerol is useful in reducing body weight and improving levels of a hormone called leptin that signals satiety. A combination of two super-spices, ginger and turmeric helps in treating several kinds of inflammation and burning excessive fat. Add ginger and turmeric powder to a pan. Boil the water for about 5 minutes or until the flavor is infused in water. Add cinnamon sticks to the boiling water. Let it simmer for about 2 more minutes. Filter the tea in a cup and serve. 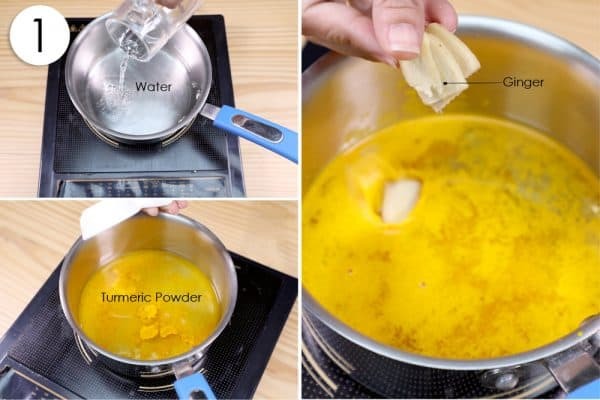 In case you do not have turmeric powder, use 1 inch of turmeric root. 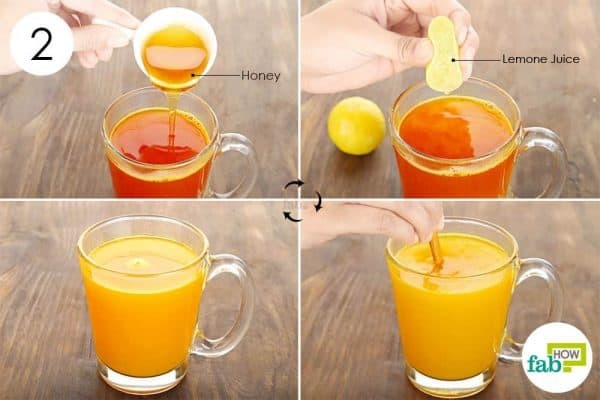 You may also use honey to add more flavor to your tea. This traditional Ayurvedic remedy has an array of health benefits. It aids in boosting your metabolism and promoting digestive health. This easy-to-prepare drink also helps in blood purification, blood circulation, accelerating wound-healing, relieving pain and inflammation, and detoxifying the liver. 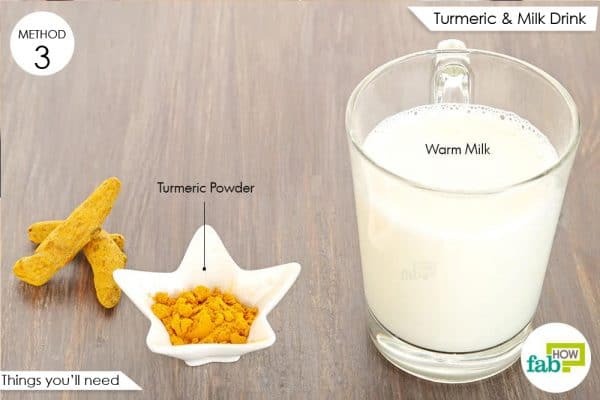 Turmeric milk is used for treating several ailments such as cough and cold, diarrhea, irritable bowel syndrome, sore throat, menstrual cramps, headache, and others. 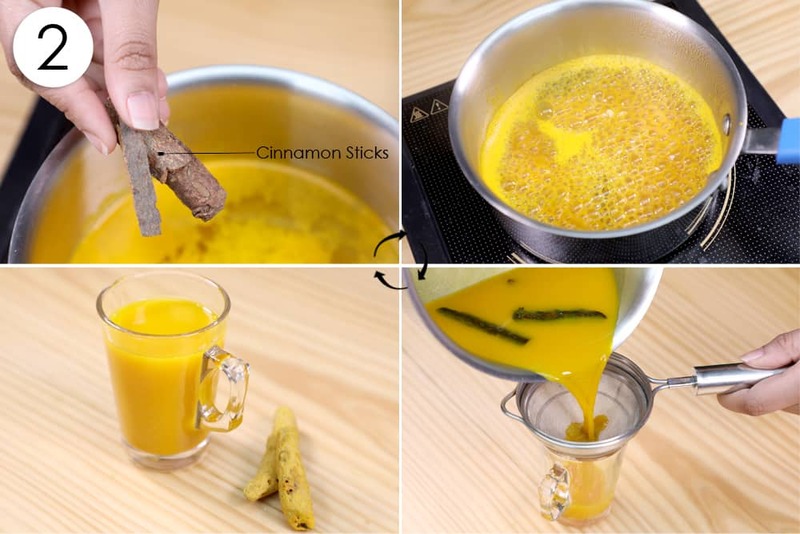 Consuming turmeric milk on a regular basis aids in losing weight and promoting good health and vitality. Mix turmeric powder with warm milk. Stir the milk with the help of a wooden spoon. For best results, prepare turmeric milk and consume it half an hour before you go to bed. It will boost your metabolism and also help you sleep well. You can also make spiced golden milk with added flavors. Green tea is popular among healthcare enthusiasts worldwide. This remedy is effective in reducing excessive body fat, especially from the abdominal area. It has antioxidant, antiviral, anti-cavity, and anti-inflammatory properties. Catechins present in it aid in generating heat in the body. This burns extra calories. Green tea works wonders for the treatment of several common health issues. It also helps in protecting you from a number of chronic ailments. 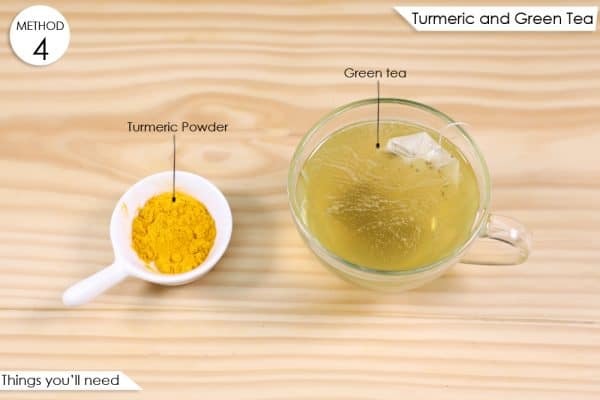 Adding turmeric to green tea will enhance its benefits and help you get back in shape in no time. Add turmeric powder to the tea and stir. Alternatively, you may add a piece of turmeric root to boiling water while preparing green tea. 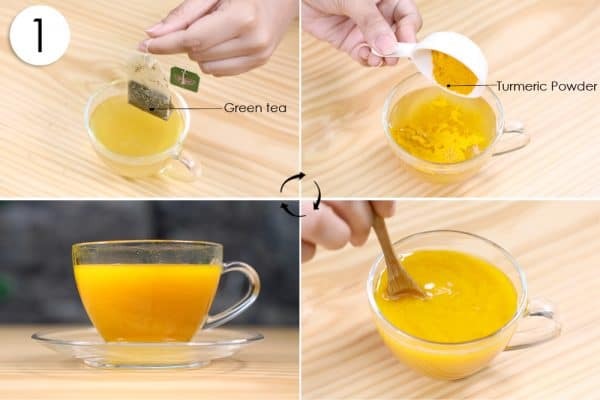 This will further enhance the taste of your turmeric green tea. 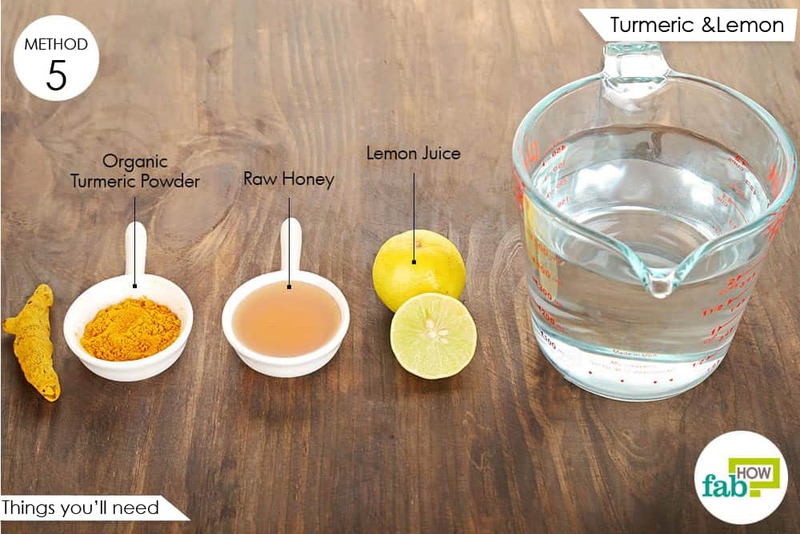 Turmeric and lemon is a powerful combination that will help you tackle all your weight loss issues in a quick and easy manner. While turmeric has various components, such as curcumin, that enable the body to burn excess fat, lemon comes with its own set of effective properties to help you stay fit. Lemon is rich in vitamin C that helps the body in burning fat. According to a study published in the Journal of the American College of Nutrition, sufficient intake of vitamin C can enable the body to burn about 30% more fat while exercising. Also, pectin fiber in lemon helps in keeping away hunger cravings and makes it easier for you to avoid unhealthy snacking habits. Boil the water on medium heat. Once it starts boiling, add turmeric and stir. Let the mixture boil for 5 minutes. 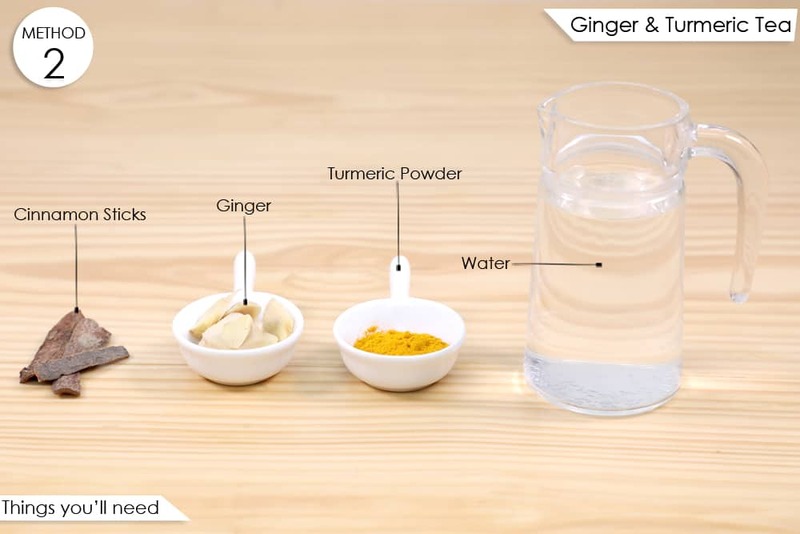 Strain and transfer the turmeric water in a cup while it’s hot. Add honey and lemon juice to the mixture and stir.Using this remedy once a day will help you lose weight. It is not advisable to have turmeric on an empty stomach as it may lead to acid reflux. If you are on any kind of medication, consult your doctor before using turmeric for losing weight. It is best to seek professional advice before taking turmeric supplements. Pregnant women and nursing mothers should avoid taking turmeric supplements. An easy way to increase your daily turmeric consumption is by adding the spice to your food regularly. However, you must keep in mind that excessive turmeric will not only spoil the taste of your food but will also have adverse effects on your health. The recommended quantity is 1/2 – 1 tablespoon for each dish. 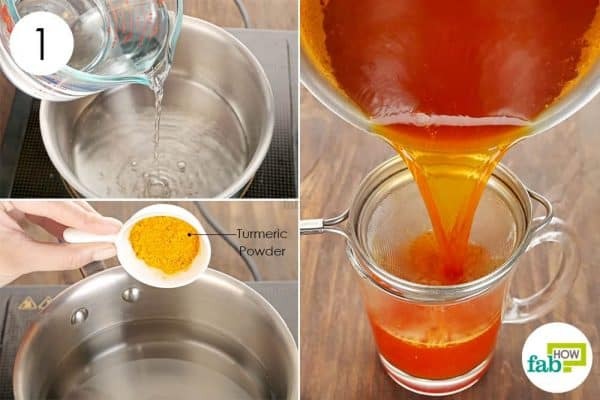 Alternatively, you can prepare turmeric-lemon tea by adding turmeric powder (1/2 teaspoon) and ginger powder (1/2 teaspoon) to boiling water (2 cups). Let the water simmer for about 10 minutes. Strain and add some lemon juice to it. Have the turmeric tea once a day for best results.